He wrote over 40 farces, this Feydeau fellow, a large number of them having just the one act. 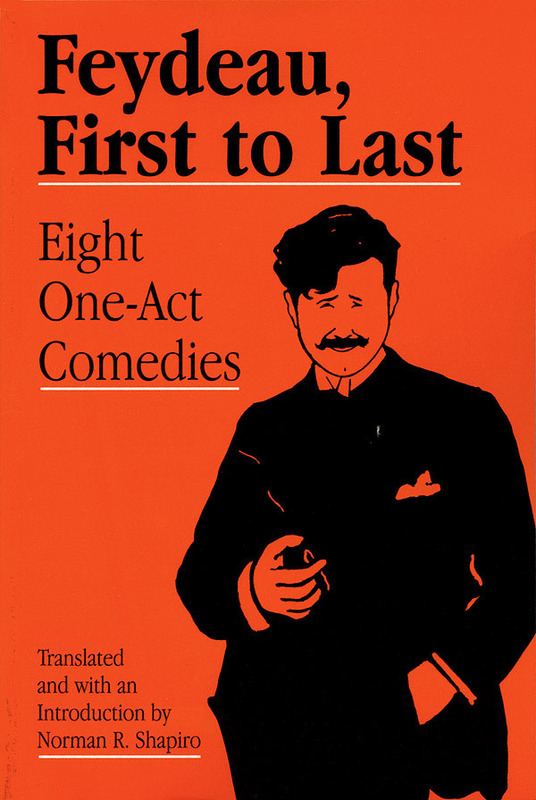 This book has eight such one-act efforts, including the first and last plays produced in Feydeau’s lifetime – hence the title. I say ‘produced’ advisedly because, as Norman R. Shapiro explains in his erudite, informative introduction, it is difficult to say exactly when some of these plays were written. The translations read very well indeed. And although in American English, they could easily be modified for the British stage. To many, the plays will evoke the world of Fawlty Towers; and it should come as no surprise, therefore, to learn that John Cleese has often expressed his admiration for Feydeau. It is interesting in this regard to look at Les Paves de l’ours from 1896, a play wherein an upper-class bachelor employs a country bumpkin as a man-servant, believing him to be ‘a diamond in the rough’. He hopes in time to polish this diamond and thereby to bring order into his life. Of course, the man proves to be a blundering idiot and complete chaos ensues. Whenever the bachelor turns to the man-servant for aid, he always makes matters worse. There’s not a thing he can do as his world disintegrates around him. Clearly, their relationship is essentially that of Basil and Manuel in Fawlty Towers. Note also that a hotel will have many of the stock characters (waiter, maid, cook…) you’d expect to find in an upper-class residence in Feydeau’s day. From the viewpoint of stagecraft, there is a lot that can be learnt from Feydeau’s use of monologue – most of these plays begin with a lone character onstage, talking aloud – and aside. Aside as a device is especially used to involve the audience, to let them in on the joke, to gently reel them in. Feydeau is always fishing for laughter and he usually gets a tug on the line. Another instructive factor lies in seeing how a character will flit from being a narrator (addressing the audience) to an actor in the unfolding drama (oblivious to the audience, obviously) at different moments. Say, like Hector in Par la fenetre. It’s all very cleverly and sweetly and subtly done. Golden comedy, riotous and surreal situations, and at root scathing vision of humankind, that’s what you find on Feydeau’s stage. The men are venal and egotistical, the women vain and fickle. The world of the Divine Marquis, but with lashings of jokes as each layer of moral corruption is flayed back. You laugh most times to keep from crying out in despair.